Headlines, hot news, and conversation starters on September 15, 2017! 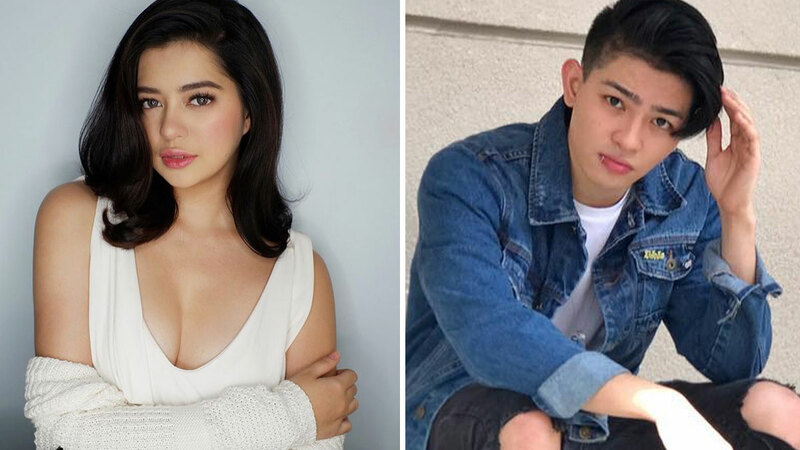 1 We know you've been wondering, too: What's the real score between Sue Ramirez and Joao Constancia? Though Sue has been adamant that work comes first, she admitted to seeing the BoybandPH member casually: "Opo, we're seeing each other. Lumalabas po kami. Pero no pressure, kalma lang. Alam naman namin 'yung priorities naming pareho...Basta ngayon, masaya kaming lumalabas." Sue also told PEP, "Wala po kaming hinihingi sa isa't isa. 'Yung give and take namin, hindi ito forced. Sa ngayon, happy lang." But the two have met each other's families. Sue mentioned: "Mabait 'yung family niya. Okay naman 'yung family ko with him...Siya lang po 'yung naglakas ng loob na humarap sa family ko." 2 Baby Zia has been asking for a sibling—a baby brother, to be exact—but it looks like she'll have to wait a little longer. Marian Rivera is focusing on work right now. ICYMI, the Kapuso star has a new action-packed show called Super Ma'am. 3 Cristine Reyes gave birth to Baby Amarah in February 2015, and she's been really enjoying family life. She recently launched Simply Shoes, the first brand they're endorsing as a family. Cristine shared, "I didn't realize [motherhood] is going to be this important to me. I'm really happy where I am right now." 4 In July 2017, news broke that Song Joong Ki was in talks to appear in Netflix's original zombie drama, Kingdom. According to Koreaboo, "The series is set in Korea’s Joseon period, and revolves around a prince tasked with protecting the kingdom from a horde of zombies." Joong Ki's agency, Blossom Entertainment, said that he wasn't ready to make a decision yet. 5 After eight years of marriage, Fergie and Josh Duhamel are calling it quits. In a joint statement, they said, "With absolute love and respect we decided to separate as a couple earlier this year. To give our family the best opportunity to adjust, we wanted to keep this a private matter before sharing it with the public. We are and will always be united in our support of each other and our family."